If elected to a leadership position within ALISE, I would continue the accreditation reform work begun by past ALISE leaders and also help continue the great work started on the Leadership Academy. Accreditation Reform: I would seek to work with the Council of Deans, Directors and Program Chairs to influence the re-development of the procedures through which accreditation occurs (i.e., the Committee on Accreditation’s Procedures for Accreditation). I believe ALISE should be an equal partner with ALA in defining and managing the accreditation process rather than a client of an ALA-controlled process. The Office of the Committee on Accreditation should be equally accountable to both ALA and to ALISE. Leadership Academy: I’m concerned about generational turnover in the field and feel strongly we need to be proactive in recruiting and training the next generations of program leaders and also capturing the experiences and wisdom of those who are transitioning out of leadership roles. I am interested in serving in ALISE leadership because I believe ALISE is the most appropriate body through which to pursue accreditation reform. ALISE is also the best venue through which to recruit and train the next generation of library science program leaders. As an ALISE member I served as a chair of the Council of Deans, Directors, and Program Chairs from 2015 to 2018 where I worked as part of a team to carry forward ALISE member’s goals in relation to ALA accreditation. 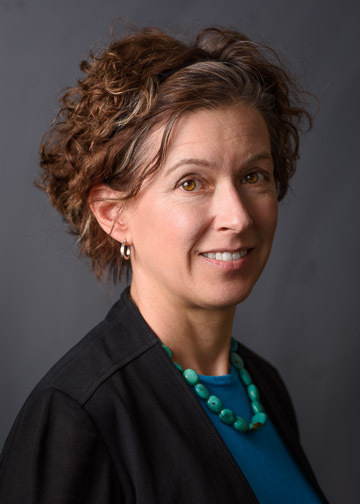 Kristin Eschenfelder has served on the faculty at the University of Wisconsin-Madison for over 15 years. She has served as Director of the school since 2012. She oversees the strategic direction of the school, leads its efforts to foster research, teaching and service excellence, manages the continuous self-assessment process required by ALA accreditation and campus reporting, and fosters relationships with supporters and partners on campus, within the state of Wisconsin and nationally. She is active in program development, leading teams to start a collaborative undergraduate minor, two revenue generating capstone graduate certificates, and a new masters degree. She has also led the Wisconsin iSchool faculty to participate in campus collaborative degrees in Data Science and Design and Innovation. She is a member of the iSchools Association Board.